An absolutely stunning haute couture wedding dress from the famous Israeli designers Inbal Dror in size 10. I just purchased this dress on Stillwhite and it is stunning but our wedding venue has changed so I have decided to go for a different style of dress. I would love to hold on to this gorgeous dress but would rather it got used. I am happy to provide proof of purchase from Stillwhite. 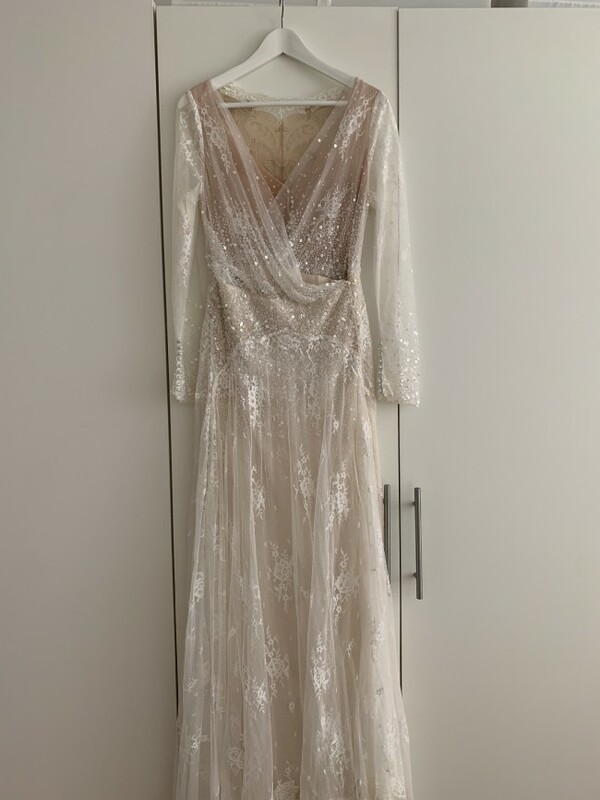 This dress is in near perfect condition- there are no faults with it and the bride who wore it only wore it for a few hours and it has been very lovingly cared for and comes in its original box. I live in south London and I’m happy both to send or for buyer to pick up. Please feel free to contact me with any further questions.